I’ve found a new favorite thing. 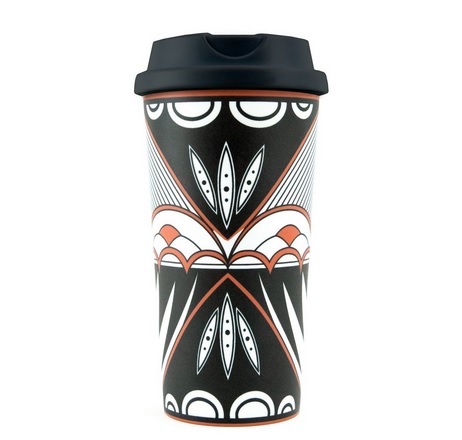 This Robin Teller Pueblo Pottery Design Travel Mug is art on-the-go. I’ve found a new favorite thing. 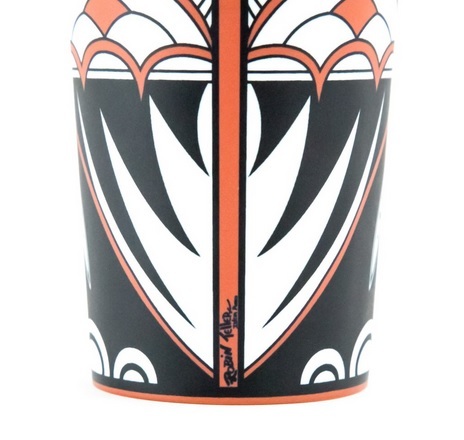 This Robin Teller Pueblo Pottery Design Travel Mug is art that can get up and go with you. 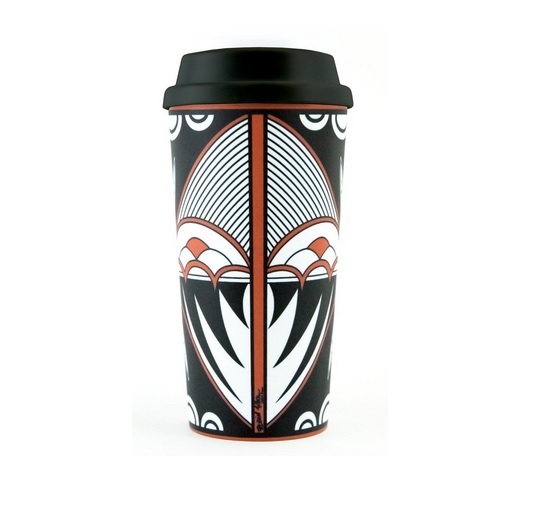 The design is inspired by traditional Pueblo pottery and is crafted by Robin Teller from Isleta Pueblo. 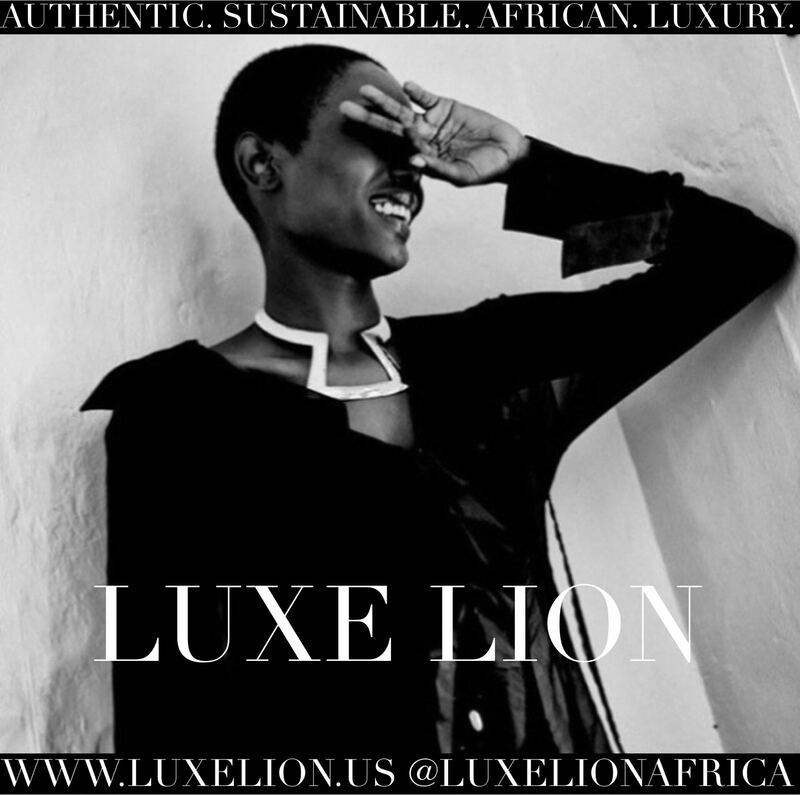 Robin is the daughter of Stella Teller, an accomplished pottery artist. Robin has been making her own pottery from roughly 1988 forward, making storytellers, nativity groupings, human and animal figures, polychrome jars and bowls. This collectible 20 oz travel mug is made from poly resin that is BPA safe and must be hand washed. It’s also signed toward the bottom. The mug is available for 25 US through ShumaKolowa. Isleta pottery is one of the most difficult types of Pueblo pottery to find and is highly collectible although very little is known about the historical timeline of this craft. There are currently few artists creating this pottery. Historically, Isleta artisans made heavy redware similar to Ohkay Owingeh but eventually moved to polychrome, a style introduced by Laguna Pueblo potters who came to Isleta in the late 19th century. Traditional pottery-making nearly died out in the 20th century but was revitalized in the 1980s by Stella Teller and her family, known for their exquisite handmade figurines and storytellers. With so few Isleta artists creating pottery using natural clay and traditional methods, any piece is a rare and valuable work of art. 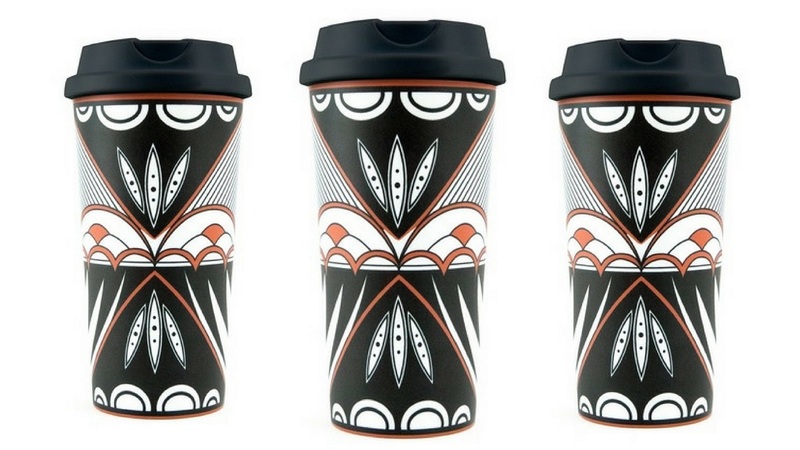 This illustrious history served as the vibrant inspiration for this travel mug. 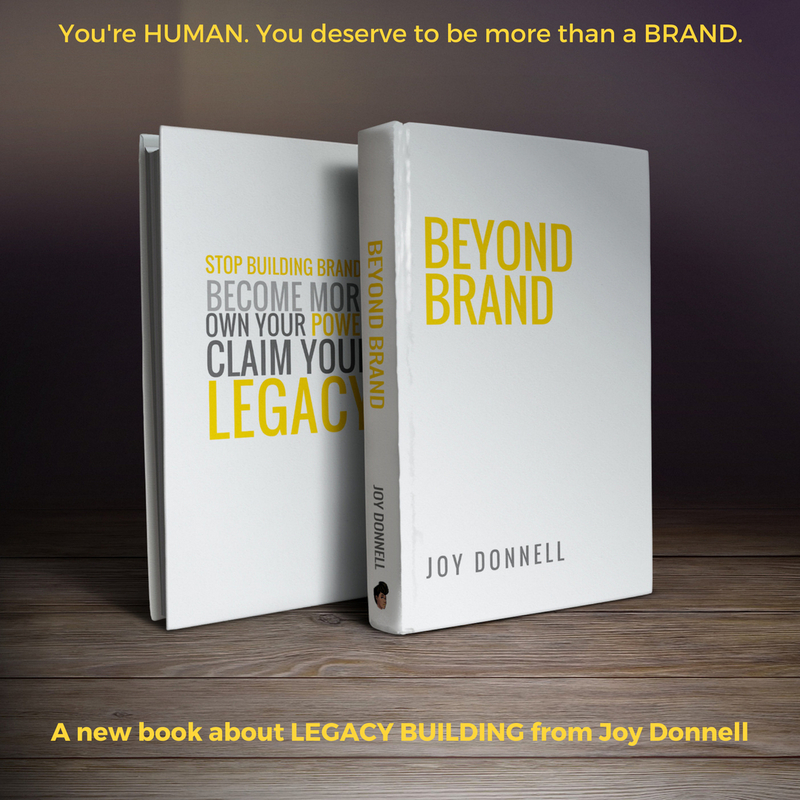 You’ll definitely get questions about it and what a fascinating story you’ll have to share.